Welcome back lovelies, I hope this week has been going well for you. I can't believe we have only got 5 days until Christmas, I haven't completed even half of the Xmas nail art I had in mind; there just aren't enough days in December LOL. For today's blog post I have an unboxing of the Mani and Lola Nail Subscription box to share with you. 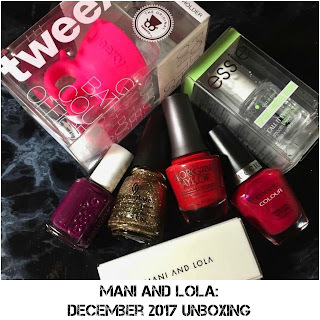 This is the second box from Mani and Lola and I have to tell you I was not disappointed, in the first box we were given a lot of hand and nail car and only two coloured polishes. But this time they treated us to four beautiful colours and 3 little extras to add to our collection. 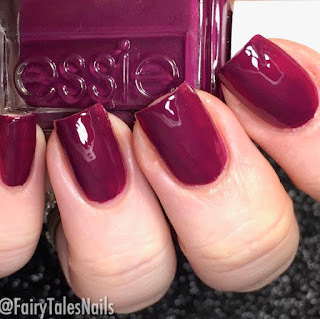 The first polish is a recent release from Essie called 'Designated DJ' is it a plum purple creme, fully opaque in 2-3 coats. 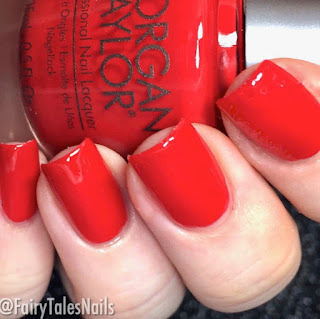 I did only do 2 for mine but I do feel a third will deepen that colour slightly. Lovely to work with formula and a really pretty colour for this time of year. 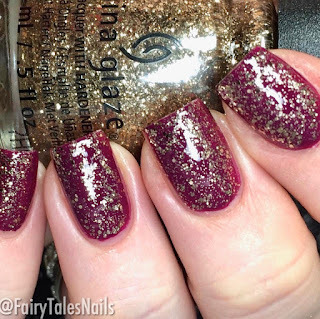 The second polish is a topper from the new China Glaze The Glam Finale 2017 collection, this is 'Big Hair and Bubbly' a gold glitter topper with a clear base, which I definitely think you could get opaque on its own too. 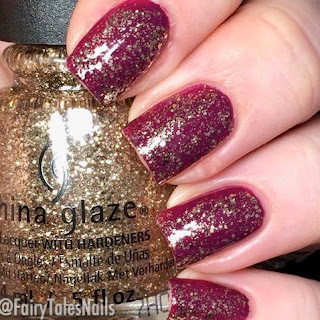 It was a really nice base to glitter ratio and applied quite evenly on the nail. 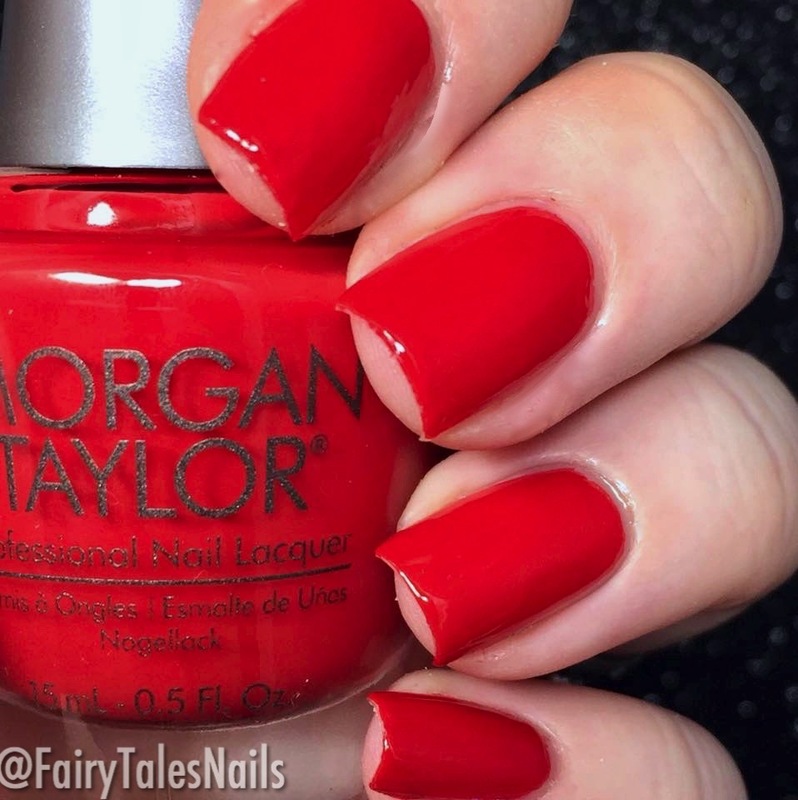 The third polish is perfect for the Holiday season, everyone is always happy when they are wearing a nice Christmas red. 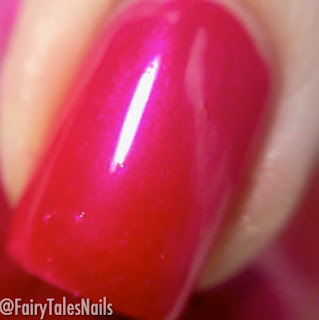 This is 'Who Nose Rudolph' a bright red creme fully opaque in 2 coats and lovely to apply. 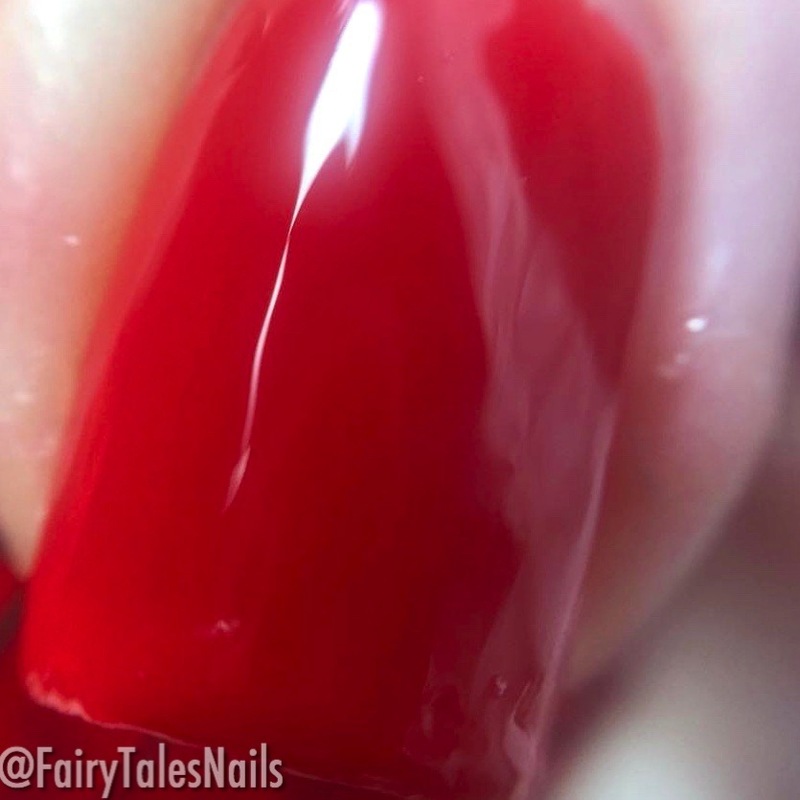 I also experienced no staining when removing this polish, which is always a plus. 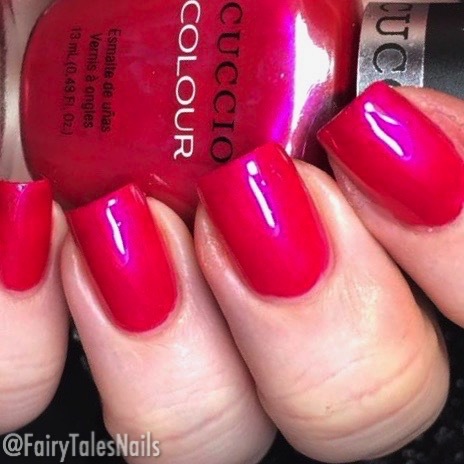 The final polish is a stunning polish from Cuccio Colour 'Red Lights In Amsterdam', a pretty bright pink polish with a blue shimmer. Fully opaque in 2 coats and that shimmer translates beautifully to the nails. We were also gifted with a pretty pink Tweexy, this is a product that you can pop onto your fingers and have your bottle of polish in it. 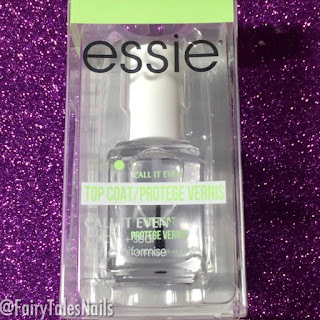 This saves you having to hold they bottle as well as paint your nails, so it's a great little gadget for when you are on the go. This is priced at £9.95. The final item in this months box was this top coat from Essie called 'Call it Even', this is specifically made to help smooth out and seal in glitter polishes. 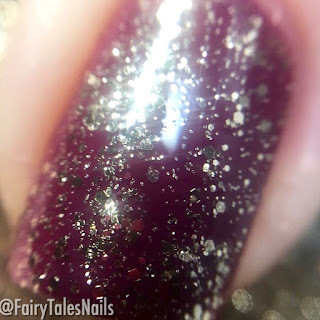 This will come in handy for me as a lot of top coats don't always manage to completely smooth out a full glitter polish. We also were given a nice buffing block, but mine seems to have gone missing thanks to my little niffler child. Overall another fantastic box from Mani and Lola, considering you pay £20 + £2.95 shipping it is a huge bargain. I really loved the balance between nail polishes and other nail related items, they are really nice colours to wear for Christmas and the top coat will definitely be a winner for me. The January box is now available to subscribe too, and I can't wait to see what the year will bring for this fabulous company. 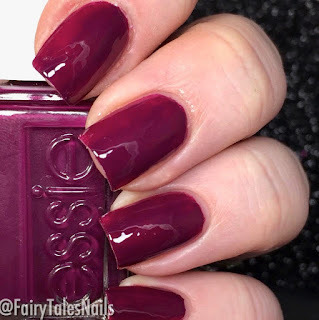 I would love to know your thoughts on this box? 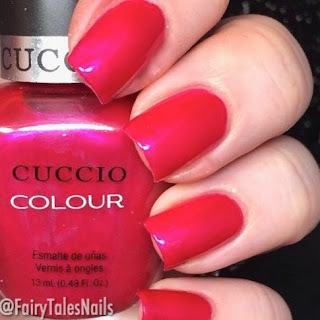 Are there any polishes you would be happy to receive? Let me know down in the comments. As always I hope you enjoyed this post and I will talk to you all again soon. I’ve always been curious about the nail polish holder. That’s awesome it came with this box! This looks like a fun box! I would love to try one of those holders sometime. You got an excellent box this month. It really was worth the money. My favorite polish is the Cuccio, love that color. BIg Hair & Bubbly has been a fave lately! 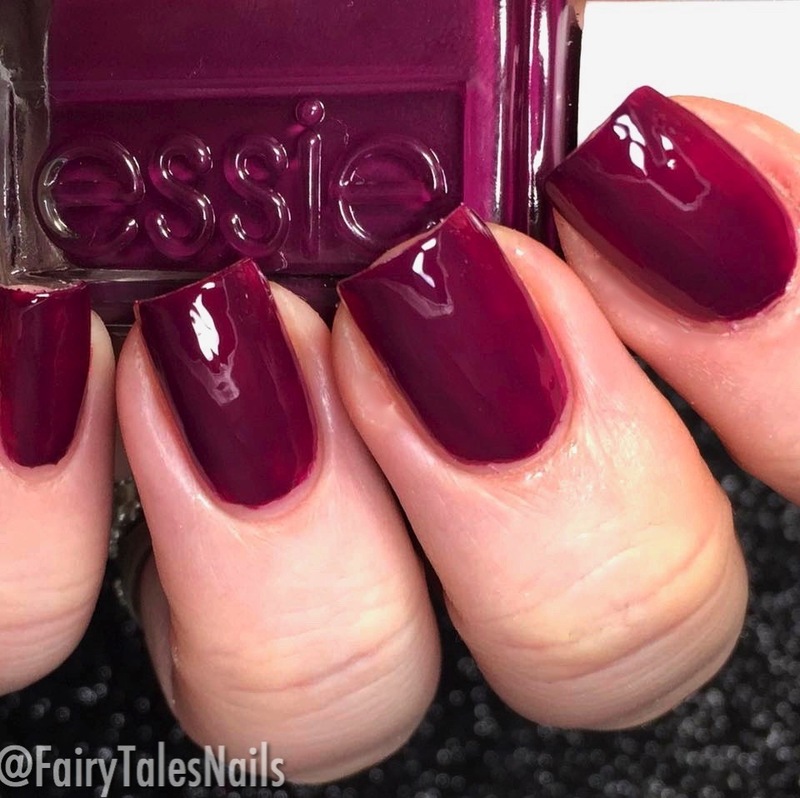 I love the color of that Essie! I love that Morgan Taylor. I have it!